One good rule is that we should never foist our views upon our children. Up to a certain age it is right and good to teach them certain things and insist upon them, and there will be no difficulty about that if done properly. They should even enjoy it. But shortly they come to an age when they begin to hear other views and ideas from their friends, probably in school or other associations. Now a crisis begins to develop. The parents’ whole instinct, very rightly, is to protect the child, but it can be done in such a way as, again, to do more harm than good. If you give the impression to the child that he has to believe these things simply because you believe them, and because your parents did so, you will inevitably create a reaction. It is unscriptural to do so. Not only is it unscriptural, but it betrays a dismal lack of understanding of the New Testament doctrine of regeneration. An important principle arises at this point which applies not only in this realm but in many other realms. I am constantly having to tell people who have become Christian and whose loved ones are not Christian, to be careful. 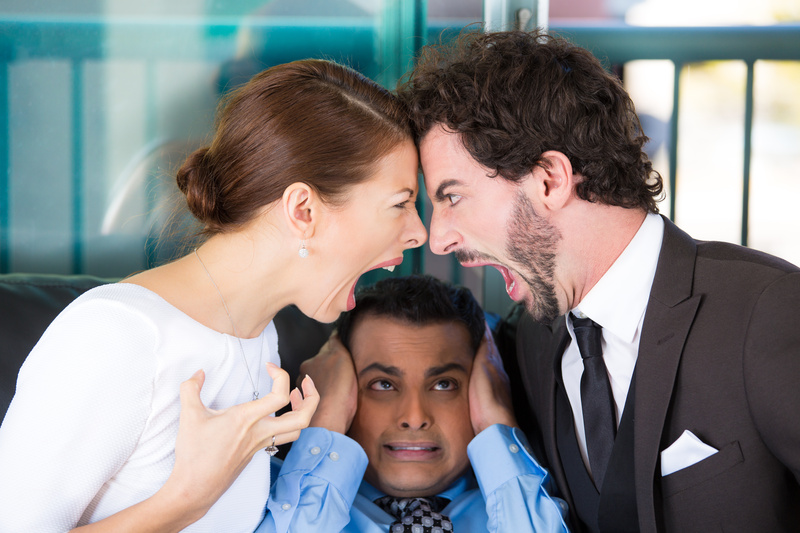 They themselves have come to see the Christian truth, and they cannot understand why this other member of the family – husband, wife, father, mother, or child – fails to do so. Their whole tendency is to be impatient with them and to dragoon them into the Christian faith, to foist their belief upon them. This must on no account be done. If the person in question is not regenerate he or she cannot exercise faith. We need to be “quickened” before we can believe. When one is “dead in trespasses and sins” one cannot believe; so you cannot foist faith on others. They do not see it, they do not understand it. “The natural man receiveth not the things of the Spirit of God, for they are foolishness unto him; neither can he know them, for they are spiritually discerned” (1 Corinthians 2:14). Many parents have fallen into this error just at this point. They have tried to dragoon their children in the adolescent stage into the Christian faith; they have tried to foist their views on them, they have tried to compel them to say things that they do not really believe. This method is always wrong. “Well, what can one do?” I shall be asked. Our business is to try to win them, to try to show them the excellence and the reasonableness of what we are and of what we believe. We must be very patient with them, and bear with their difficulties. They have their difficulties, though to you they are nothing. But to them they are very real. The whole art of exercising discipline is to recognize this other personality all the time. You must put yourself into his place, as it were, and with real sympathy and love and understanding try to help him. If the children refuse and reject your efforts, do not react violently, but give the impression that you are very sorry, that you are very grieved for their sakes, and that you feel they are missing something most precious. And at the same time you must make as many concessions as you can. You must not be hard and rigid, you must not refuse everything automatically without any reason, simply because you are the parent, and this is your method and manner. On the contrary, you must be concerned to make every legitimate concession that you can, to go as far as you can in the matter of concession, thereby showing that you are paying respect to the personality and to the individuality of the child. That in and of itself is always good and right, and it will always result in good. It was the summer of 1985, and I was at a four week Navigator summer camp experience at a beautiful place called Camp Forest Springs. I had just heard a message by the state director of the Navigators, a man named Bill Tell. Bill said that while Jesus calls us to labor with Him in the fields which are white unto harvest, many Christians instead end up in the barn, doing many nice things…but not reaching the lost. After the message that night, I got in a canoe alone and paddled across the lake. I found a little hut, went inside and got on my knees, committing myself to a lifetime of staying in the fields, proclaiming the good news to a lost world. Over the next few months, I wrote this story. I hope that the central message here will forever be the heartbeat of my life, and of our church. I was called out to a farm one day. I knew that I’d belong. It looked like a pretty good yield. Was that so few were out in the field. And strangely I saw only one. He was reaping in the row. “Well, they’re often in the barn,” he said. “They’re always on a break. So I thanked my friend and let him go. As I left, he warned, “Take care. And I knew that I was tardy. Why it sounded like a party. They met me at the door. I said, “Hold on a second friends. They answered back to me. “Yes, four more months now,” another group said. They said, “And we’re not mature enough yet. I said, “Maturity comes in the field. Another bunch shouted my way. “You’ve got to get in the spirit,” they said. “Before you go out in the field. “And there’s arrows flying around out there. So I thought to myself, I quietly mulled. “We need more workers out there!” I cried. “While the harvest rots,” I spoke again. "And no one sheds a tear. Why, you’d never know so many were dying. Well the barn was quiet as quiet can be. And no one there was phased. But not a single hand was raised. Though they asked me to hang around. It’s nothing like what I’ve found. With my friends out in the field. I’m safe behind my shield. For my shield is strong, a shield of faith. And my sickle’s the sword of God’s word. Of those who have never heard. And the Spirit’s there, out in the field. By my side He’ll always be. All kinds they come, women and men. And the barn sits off in the distance now. When I look there I want to cry. When millions and millions die? Through the history of the church, there have been a small minority of people who have argued for the once for all destruction of non-believers, rather than their eternal suffering. I really wish I could believe it, but I can’t find this teaching in the Bible. So, all in all, I think reverential awe is called for when we contemplate the potentiality of this dreadful place. But isn’t an eternal Hell an unreasonable punishment? In the end, the doctrine of Hell means that we take very seriously a number of other truths, starting with the infinite holiness of God, and moving on to the importance of evangelism. We must recognize God in the perfection of His holiness, and we must boldly tell the world about their great need to be reconciled to this Holy and Eternal One. What would you tell a mom and dad desiring to spread the faith to their kids? Or what do you think is the key to passing on your faith to friends at work? We often believe that the secret is a winsome presentation of the gospel, or having good answers to the tough questions, apologetics and such. And to be sure, we need to present the gospel as clearly as possible. Certainly, we need to try to provide people with answers to their questions. So Frances Schaeffer called love…the final apologetic. Apparently, if you get everything else right – if you prove that Jesus is God, and you prove that the Bible is true, and you show conclusively that Jesus rose from the dead, but you miss love and unity, apparently it’s very hard for the world to see that Jesus came from the Father. This makes sense, because after all, true evangelism is Spirit-driven. Unity was a big deal to Paul because the spread of the gospel was a big deal to Paul – this comes out in Philippians chapter 1, where Paul writes about those preaching with wrong motives – “But what does it matter, the important thing is that in every way, whether from false motives or true, Christ is preached, and because of this I rejoice.” (Philippians 1:18 NIV) You see, Paul just wanted the gospel out, by hook or by crook, and even if you were preaching it with wrong motives, he didn’t care. But get this – since Paul was so fired up about spreading the gospel, he was fired up about unity and love. A clear application is in the home: Moms and dads, as you want to pass on the faith to your kids, you probably already know the basics – read the Word with them, and pray with them, and make church attendance a priority, etc. But in the midst of all you’re doing, do something else: Do your best to get along, to love one another, and when you fight, as Diane and I did (ahem, sometimes still do! ), yes, even in front of the kids at times, then make up in front of them too. And, by the way, you are divorced, please don’t lose heart – for praise God, He moves in every situation. But do your best to treat your ex-spouse lovingly and kindly now. Because as strange as it may seem, your marital unity is one of the biggest ways that your kids are going to see…that Jesus is Lord, that Jesus has really come from the Father. Calling Down Fire From Heaven on Sinners? Jesus’ disciples often look like oafs. And this is one of the marks of New Testament authenticity. After all, these often foolish looking men were the leaders of the early church that produced the New Testament documents. We only have to imagine Mohammed being portrayed in a similar way in the Koran. Though I’m not a great student of that book, I know enough to realize that he ends up looking good. The disciples, however, not so much. And the only reason that they end up looking so foolish…is because they actually were. Why else would they make up these stories which cast them in such a bad light? They were ultimately the ones in charge of disseminating the accounts. No, these men were impacted by the gospel enough to simply tell the story as it was. Jesus was the only One who needed to look good…and looking good came naturally to the Lord. I love these guys; after all, when they do silly stuff, it makes the rest of us look better. Anyway, Jesus rebukes them, and they head on to another village. We need to be careful. To be sure, there was a time when God used His people Israel as an instrument of His judgment on a wicked people, but after the clearing of the Promised Land, they were called to love the foreigner and stranger. And of course, there will come a time of judgment again when the Lord returns. But now we live in a time when we are called to proclaim glad tidings of salvation to a lost and hurting world. And so there remains a window of hope to wayward subjects before the King returns with a double-edged sword in His mouth. 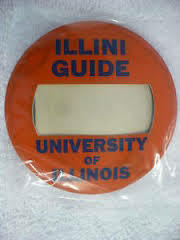 It was circa August 1986, and my third year as an Illini Guide at the University of Illinois. Illini Guides greeted the new freshmen as they moved into the dorms and helped them and their parents carry luggage and furniture into their new home. I loved being an Illini Guide – it fit my extrovert nature, and also provided me with a way to meet freshmen, establishing trust with the hopes that the initial encounter would lead to a conversation about Jesus as the year moved along. But time and tide…you make plans and you don’t quite get to them, and John was one of those plans. I intended to drop by his room and share the gospel with him, but it never quite happened in the fall, and in fact, the conversation almost didn’t happen that next semester, but it finally did. Now is the time to believe, not later, but now! And if now is the time to believe, now is also the time to share the good news, certainly with lewd college freshmen (who may appear more confident than they actually are), but especially with those we love. For the truth is that you just never know. You never know how they will respond, and you never know about their future. You see, I never saw John again. I found out the next year that he had been killed in a car accident. And so it was probably at the tender age of 18 or 19 that the one-time U of I freshman…entered eternity. Where are the Commands for Personal Evangelism? Some people are under the impression that the Bible does not tell us to do personal evangelism. Have you ever considered it? It’s interesting – try to think of a biblical command that says something like this: “Be sure to tell your family and your co-workers and your neighbors about Christ,” and you’ll get the idea. You don’t see as much urging in this area as you might otherwise think. Of course, there’s Peter’s command to be ready to give an answer for the hope that is in you (1 Peter 3:15). And more importantly, there is the Great Commission in Matthew 28. Actually, I think those few verses that close out the end of the first book in the New Testament are enough. Go make disciples and teach others to do the same. From these verses (not to mention the counterparts in the other gospels and Acts), we have enough direction to start talking until Jesus returns. But generally the idea of talking to your co-workers and friends is simply assumed in the New Testament. But, that said, it is assumed powerfully. When Paul was still Saul and only a Jewish religious leader, he thought of people as very ordinary, just as he considered that rabble-rouser from Nazareth: Jesus was just a guy; nothing more. But now, just as Paul had come to know the Carpenter as God in the flesh, so the Apostle came to realize that there was more to all people than met the eye. Men and women, boys and girls, he now knew, were truly spiritual beings…and eternal.